The following is an excerpt from our report Collaborative Coffee Source, Living Our Values 2017. Burundi is a difficult place to work. It is one of the ten poorest countries in the world with serious corruption and a lack of infrastructure that make sourcing, purchasing, storing and shipping coffee extremely challenging. So why are we there? The short answer: CCS is driven to discover new gems, be they origins or individual coffees. The best Burundian coffees exhibit intense sweetness and elegance, with balance and a honey-like mouthfeel. Beyond the coffee, however, we love developing potential and Burundi has it in spades: high altitudes, suitable cultivars, good soils and good rainfall. While exploring this origin, we met professionals from two pioneering coffee companies who also recognized Burundi’s great potential. Our relationships with Ben Carlson of Long Miles Coffee Project, and Luis Garcia and Maxime Acien of Greenco are what make our work in Burundi possible. The entire Carlson family moved to Bujumbura, Burundi to start the Long Miles Coffee Project, and built two beautiful washing stations that process cherries from over 3000 neighboring families. They are uncompromisingly selective about the cherries they accept, and have implemented innovative agricultural programs. Their “Coffee Scout Teams” for example, travel from village to village to teach farmers best agricultural practices and disease management, like avoiding the potato defect by hand picking antestia bugs from the coffee trees. Luis Garcia moved to Burundi after many years working in finance and coffee trading in Switzerland to take a job managing thirteen washing stations for Greenco. He immediately began methodically revising the entire Greenco organization to focus on quality. Luis has since moved on to another challenging role, as the manager of Sucafina's dry mill. Since the 2016 harvest, Maxime, who also comes from the trading floor, has energetically taken on the role as Greenco's Managing Director. From speculating coffee futures on your computer to overseeing the operations of washing stations that serve thousands of farming families, it’s not for the faint of heart. Burundi’s poverty and sometimes harsh and difficult export environment has been challenging since the beginning of our work there in 2012. It’s important to acknowledge these realities. We keep coming back year-after-year because it’s a stunningly beautiful country with beautiful coffee, and because we believe in our friends, partners and farmers, and the potential they are working so hard to realize. Download the full report The following is an excerpt from our report Collaborative Coffee Source, Living Our Values 2017. We will be cupping, discussing, sharing and learning with guest speakers Lise Rømo of sister company Kaffa, and Rory Rosenberg of Oslo Cold Brew, two baristas who have competed with these coffees, and visited their farms and washing stations, plus a Skype Q&A with Sebastian Villamizar of La Palma y El Tucan. 12pm Presentation by Rory Rosenberg of Oslo Cold Brew Rory was the 2017 Norwegian Barista Champion. He competed with LMCP and visited their washing stations in Burundi. 3pm Presentation by Lise Rømo of KAFFA.no Lise was the 2016 Norwegian Barista Champion. She competed with coffee from La Palma y El Tucan, and visited their innovative farm in Cundinamarca, Colombia. Spaces are limited. Contact nicolas@collaborativecoffeesource.com to reserve yours! It's been so great to see the continuous build of up anticipation for our Burundi coffees year-after-year. When we first started working with this origin in 2012, finding roasters willing to take a chance on this new origin was challenging. And with good reason: it was relatively unknown as a place, let alone as an origin of exciting and quality coffees. On top of this, what little has been known about Burundian coffee has been impacted by the reality of the potato defect, which over time, has been intensively fought with every kind of control measure team Long Miles could think to throw at it. They perform meticulous black light scans of every lot pre-export, and Epaphras Ndikumana, ingenious planner and leader of Long Miles' farmer extension programs, even organized antestia bug hunts. As our first containers of the recent Burundi harvest make their way to Mombasa port en route to New Jersey and Antwerp, we wanted to provide some context as to why the timeline for this year's arrivals is seemingly "later" than last year. The first thing to note is that the shipments are not actually departing late: everyone involved in the making of this year's lots have been working as diligently as possible; there have simply been forces at play that have been working against earlier shipment dates. Harvest typically begins in March and ends in late-May to the early-June. This year harvest started in April and went all the way to mid-July. This wasn't true across the board -- there were other washing stations and areas that had more of a "regular" harvest period. The difference? Politics. While Burundi's coffee sector has officially allowed for private enterprise since the late-80s to early-90s, in practice it has been bureaucratically difficult to conduct business as a coffee entrepreneur. Corruption is rife and policy changes are often unforeseeable. The government's halting of fertilizer imports to select areas, including the communities delivering cherries to Long Miles' washing stations. The main consequence of this was that the soil became too acidic for the plants to properly develop their cherries and the sub-consequence of that was uneven cherry development, leading to a longer harvest period. The removal of collection points. Collection points are key for Burundi farmers because very few have motorized means of transport and deliver cherries by foot to washing stations. As a result of the banning of collection points, many farmers (most of them women, like the woman in the photo above) walked up to 15km (30km round trip) [corrected from an earlier version describing a 30km one-way trip] to a Long Miles station in order to continue working with their team. Imagine walking 15km one-way with a bag of between 40-50kg bag of cherries on your head, once every week (not to mention the long walk back). Usually when I come to make selections in June, I'm presented with pretty well all the top lots that will be available for that given season. Given that my visit this year took place in the midst ofharvest, many of the coffees that the team had planned to be ready simply weren't, meaning many of the selections took place via Long Miles' Picasso Nduwayo (Quality Control Manager) and his team sending batches of samples as quickly as they could be taken off their drying beds, to our Oslo lab for approval. By far a much more tedious and drawn out way of purchasing coffee. Nonetheless, both Long Miles and CCS are pleased and excited about this year's selections. The Long Miles Team have once again outdone themselves and it is starkly evident that the communities in which they work are hugely supportive and believe in this project. How else do you explain a farmer choosing to walk 15km, past other washing stations, to sell her cherries? Demand for these coffees have been very high. 90% of the first container coming to Antwerp has been pre-sold and so with that, we've decided to bring in a second container to the EU. The first two containers, bound for Antwerp and New Jersey, are at Mombasa port and are scheduled for departure on December 9th, meaning a mid-January arrival. Get in touch with Nicolas (EU & Asia) and Sal (North America) for availability and samples. We will be cupping a curated selection of our coffees: available, soon to be available, along with some stunners that simply need revisiting. Time: 10:15 a.m. – 12:00 p.m.
From the currently harvesting. Showcasing long-time friends and new acquaintances from Santa Barbara, which produces some of our most interesting Central American offerings coming from some of our longest-standing relationships. A selection of some of the most versatile coffees we offer. Featuring cups from Antigua & Huehuetenango. Charles Cardoso from Kenyacof will be on hand to discuss the flight of freshly harvested coffees (on offer), along with the ups and downs of the just completed harvest season. From mainstays to our first international presentation of newly established relationships with cooperatives in the Agaro region. Alejandro Renjifo of Fairfield Trading will accompany the presentation of our Acevedo lots, freshly arrived and meticulously curated during the Acevedo Cup Competition from December 2016. Ben Carlson from Long Miles Coffee joins us as we cup and reflect on how stunning these Burundian coffees have been and what it took to get them there. Sal, Martell, Robert and David will be on hand to talk about the coffees, the origins, and also CCS, our model and fielding inquiries/interest on working together. Our session is open to the public. The room is set for 30 people, with 25/30 spots already confirmed. Get in touch with Sal to secure these last spots. He will also be happy to schedule a meeting with you should you not be able to attend the cupping. Despite the political imbalance that has prevailed over the capital city in Burundi (Bujumbura) this past year, we needed and decided to travel to the northern provinces of Kayanza and Ngozi (via Kigali) last week to visit and plan the coming season with our close partners. Burundi might currently be a part of the bottom 10 poorest countries in the world with many corruption issues and a lack of infrastructure, but there is hope and good reasons to continue doing business in Burundi. Burundi lives through coffee: over 80% of its export revenues come from it. And coffee people like Luis Garcia of Greenco and Ben Carlson of Long Miles Coffee are making significant changes in Burundi's coffee sector - both in how business is conducted with the famers and the strides they're making with quality control. This post is dedicated to their work. Luis Garcia lived and worked in Switzerland until he moved to Burundi around this time last year. Young, ambitious, and with lots of courage, he went from working in finance and trading commercial coffee to managing 13 washing stations in Burundi. For most, this is an impossible task; for Luis, this is a challenge he accepted fully and is now energetically taking full-on. Last year he entered into a situation full of corruption and quality inconsistency which he is striving to turnaround into a transparent and stable Greenco. Implementing everything within one year isn’t realistic, but setting accurate goals for every year to come is. From management, to digitizing information about the 41 000+ families that deliver cherries to Greenco's 13 washing stations, to transparent payment systems, and consistent recording of cupping scores, Luis and his team are methodically revising the whole organization. And at the washing station level, the teams are charged with meticulous cherry sorting, introducing new processing techniques (e.g. using cold water to prevent pre-fermentation), revamping facilities (e.g. painting fermentation takes with an epoxy coat), grading parchment at least three times and color sorting prior to milling, and now the team is also UV-light sorting at the mill for defects. We are delighted to see that Greenco and Luis share the same focus on quality as our small scale specialty producers in other origins. Harvest begins very soon. Five years ago, the whole Carlson family decided to move to Bujumbura, Burundi to start the Long Miles Coffee Project. 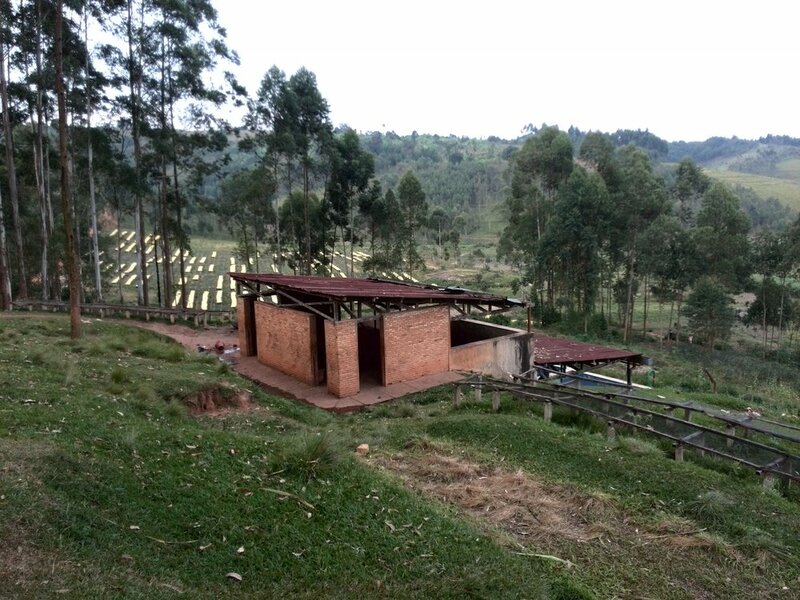 Today, they own two beautiful washing stations, where over 3000 neighbouring families deliver their coffee cherries. The relatively smaller scale of this project makes it possible for the LMCP team to focus on details and keep creating solutions as they go. One of their most successful implementations has been in forming 'coffee scout teams' that travel from village to village to teach farmers about best agricultural practices and how to manage the potato defect by picking, by hand, antestia bugs that infect coffee cherries. As well, the LMCP team is uncompromisingly selective about the cherries they accept from their neighbouring farmers, wherein only the ripest are bought. In terms of processing, the team applies different processing methods (fully washed, red honey, natural) to create diversity and exciting flavour profiles. All this is even before the pre-drying, moisture level and water activity readings they take. Burundi's poverty and sometimes harsh and difficult export environment has been challenging for us since the beginning of our work there in 2012. It's important to acknowledge these realities both in respect to what our suppliers experience and also in being open about the work we are doing there. We keep coming back year-after-year not only because it's a stunningly beautiful country with beautiful coffee, but because we believe in our friends and partners and the amazing work they are doing there. 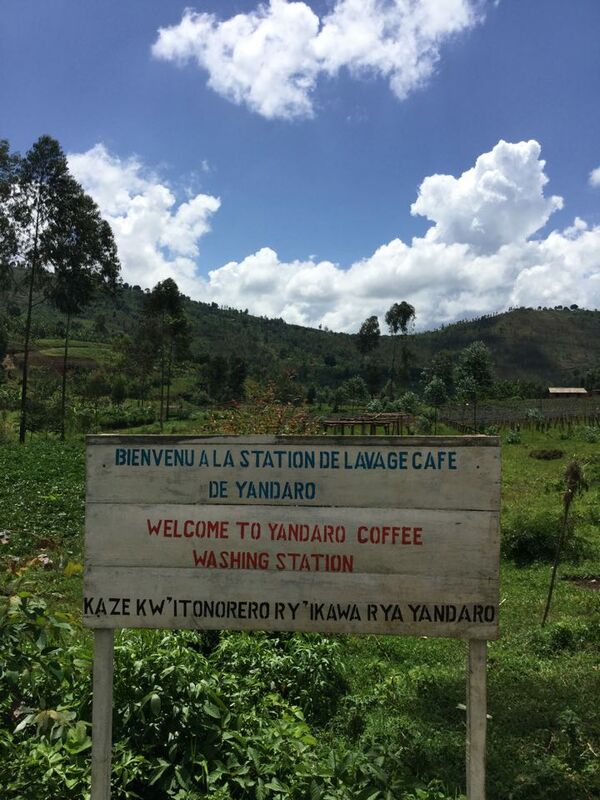 The Yandaro coffee washing station (CWS) was built in the mid 1980s during a major round of investment made by the World Bank and other partners into Burundi’s coffee. This period saw the construction of +130 state-of-the-art coffee washing facilities all throughout the country. As a result of these investments, Burundi is one of Africa’s best-equipped coffee producing countries making it well positioned to produce high quality coffee. Yandaro’s merits as a producer of exceptional coffee were highlighted during the 2012 Prestige Cup, Burundi’s pre-cursor to its Cup of Excellence competitions. That year the station won a “Presidential” placing meaning it ended the competition with a 90+ score. The station collects the cherries from surrounding micro plantations, each of which manages no more than 600 coffee plants that are placed under natural shade. In the cup, this subtle coffee reveals a complex blend of chocolate, brown sugar, yet still maintains a bright acidity and a floral citrus finish; a unique cup indeed. Greenco is a subsidiary of BCC (Bercher Coffee Consulting), a Geneva based company established by François Bercher a few years ago. Mr. Bercher is passionate about Burundi and its coffee and has gained extensive knowledge about, as well as has forged tight links with many key people working throughout the coffee sector, through his many years working as a coffee trader within the country. Since recently settling in Switzerland and starting his own company, François has continued to regularly source coffee from Burundi. In order to source consistently good coffee, he decided to invest his time and resources in being closer to field (e.g. through managing washing stations). 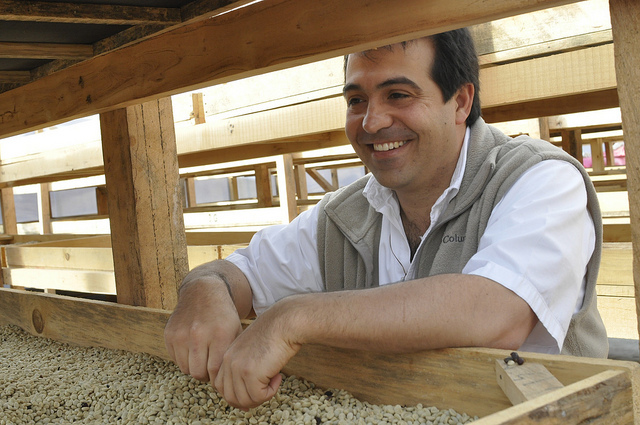 In this way, he is able to have more control and influence over his coffees’ quality. This is especially crucial within an infant specialty coffee market such as Burundi’s. Formerly being a regular buyer of coffee from Webcor (former management company and owner of Yandaro CWS) and thus knowing Webcor's operations very well, François decided to enter into a partnership with them. He knew from past experience that Webcor had purchased and run some of the best CWSs in Burundi, in part by being the first private company to buy CWSes during the country’s first stage of privatization of its coffee sector. It is therefore not surprising that with François' knowledge of Burundian coffee, his working with the best CWSes in the country, along with his high ambitions, that Greenco has had a very successful first year. Burundi is a landlocked country in Central Africa bordered by the Democratic Republic of the Congo, Rwanda and Tanzania. The official languages are Kirundi and French, with pockets of Swahili being spoken mostly in Bujumbura (the capital city), along Lake Tanganyika. 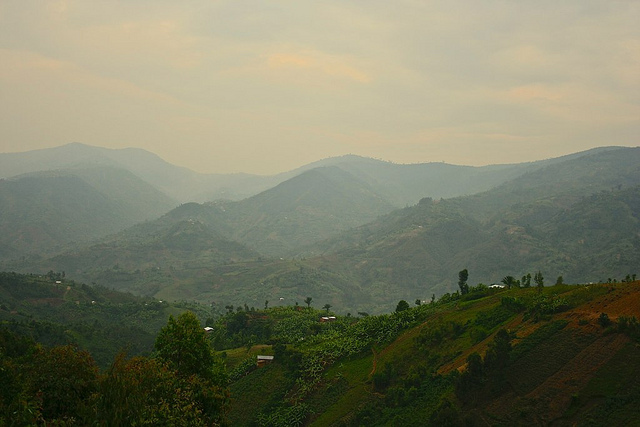 Hilly and mountainous, Burundi boasts ideal agroecology for coffee cultivation. The country’s economy is predominantly agricultural with more than 90% of the population dependent on subsistence agriculture. Economic growth depends very heavily on coffee and tea exports, which together account for 90% of foreign exchange earnings. Coffee growing and production began during Belgian occupation in the early 1930s and from 1980 to 1993, Burundi invested heavily in the coffee subsector with the heavy assistance—both monetary and strategic—of the World Bank, which helped implement an ambitious program of coffee washing station construction and tree planting. 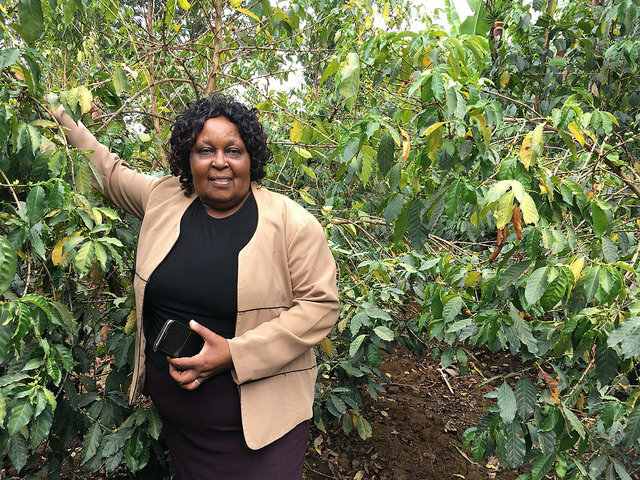 During these years, the number of coffee shrubs increased from 90 million to over 220 million and 133 washing stations were built and strategically placed throughout the country. Currently, there are over 160 washing stations in Burundi. Coffee is Burundi’s biggest export revenue earner, making up as high as 80% of earnings. There are 600 000 families, close to 40% of the population, involved in the coffee subsector. Until 2007, the coffee subsector was controlled by the state, with the result that all facilities (i.e. washing stations and dry mills) and exporting were coordinated by the government. Coffee has historically been of low quality, subsequently receiving low prices dependent on commodities exchange markets. However, in 2006, the government started liberalizing the subsector and began allowing privatization of coffee washing stations (CWS) and dry mills leading to a continuing expansion of producer access into high quality specialty markets. The hilly topography of Burundi has made for how the country is organized politically and infrastructurally. A colline in Burundi (i.e. hill) is like a borough or rural neighbourhood. Ultimately, a certain number of collines constitute a commune (i.e. county). The farmers that live on one colline are likely to deliver their coffee cherries to the same washing station that is located within accessible distance from their farms. The different lots represent day-lots from these wet mills. The climate in Burundi is predominantly equatorial, but the many hilly and mountainous regions, where coffee is grown, enjoy a moderate climate. Average temperatures vary from 17 to 23C and there are distinct wet and dry seasons: the dry seasons run from June to August and again from December to January; the wet seasons are February to May and September to November. These factors, combined with the country’s agroecology, combine for an ideal environment for coffee growing. Under these conditions, cherries can undergo ideal development due to stable and the relatively low temperatures on the plains. In addition, the distinct seasons allow for a proper blossoming of the plants and good drying conditions for the coffee beans (seeds). The main flowering period runs from October until November and there are two harvesting periods: the main harvest runs from February to March; the secondary harvest from April until May. I'm supposed to be writing an article about my recent experiences travelling in Colombia. It was my first time travelling there (as well as in Brazil, where I later went) and having only experienced being in some of East Africa as a coffee buyer, these trips illuminated so much for me. There are many exciting developments taking place within the specialty coffee communities in both countries and learning some of the historical backgrounds behind the current innovations I was introduced to provided some much needed nuance to my perspective on the world of specialty coffee and the major roles Colombia and Brazil both play. As is so often the case, events taking place here and now end up occupying the forefront of a place's work flow to the expense of other equally important and pressing matters. In the case of importing coffee, and taking into account the various harvest seasons CCS' schedule revolves around, Burundi should already be out of the major part of the current workflow because the coffee should have landed in our warehouse during the summertime and roasters should be well into their inventories of the current harvest. Although there are always delay-inducing minutiae that creep into every shipment from every origin, Burundi is one of those origins where things are predictably unpredictable and where one can reliably expect to have their patience tested day-after-day (I wish that were an exaggeration) during the export process. When one chooses to import Burundian coffees, they're signing up to ride a logistical, and at least for me, emotional rollercoaster. This year the country is experiencing the culmination of a political storm that has been brewing since 2005 when the latest in a series of civil wars the country has endured, ended. Turmoil is depressingly cyclical in this country and this year it came via the heavily disputed presidential election. When working with a country that is so complicated and has so much going against it, it can be difficult not to become numb to the constant flow of shocking news that comes from partners living and breathing all that chaos. As an importer whose main goal is to provide roasters with the very best on offer from the beautiful array of stellar coffees out there, working with Burundi has sometimes felt like an inconceivable origin to take on. To be clear, the biggest reason Collaborative Coffee Source started working in Burundi is because we came across coffees that couldn't be ignored. But throughout our short history of working there, plenty of situations have arisen where deciding to continue working in Burundi has been a source of reappraisal within the team. All of the above is a prelude to the current situation we are faced with in trying to move our first container from Burundi to Antwerp this year. Hopefully the following will help our roasting friends understand how truly complex importing coffee can be and how the act of purchasing coffee can clearly be life altering for producers. For simplicity's sake, I'll narrate the story of this container by way of a timeline. July 2015: Final cuppings and screenings of microlots making up the proposed container are completed and negotiations on contracts commence. The presidential election is completed and protests, which have been occurring since late-winter, escalate into riots after the results are announced. Both of CCS' partnering exporters flee the country with their families, along with tens of thousands of other Burundians. August 2015: Milling, packaging and preparations of export documents begin and are expected to be completed by month's end. Our exporters travel in and out of the country to oversee the process. September 2015: Export document preparation continues amidst continued political turmoil and violence. The shipment is delayed weekly as ARFIC's (Burundi's national coffee board) office shuts down and the directors in charge of signing and stamping export documents scatter throughout the country and our exporting partners are charged with locating them. One of the two exporters reports travelling to nine different people, in order to obtain 29 signatures and stamps for our microlots. The conflict in Bujumbura (Burundi's capital) continues and moves too close for comfort as one of the exporter's has his home assailed by bullets. He chooses not to publicize this, perhaps because it does not change the fact that his family and their cherry producing partners simply need to see shipments move ahead and don't see the point in inviting sympathy as it doesn't change reality in any way. These are my speculations, anyway. In the meantime, Tanzania has a presidential election coming up on Sunday and yesterday the Dar es Salaam port authority issued us warnings about potential strife that may affect the reception of our container. We debated internally, with our exporters, with our logistics partner, about the pros and cons of moving now or waiting. We ended up choosing to move ahead with shipment today, only to learn that the paperwork was in fact, not in order. Hence my writing of this post now. Upon commiserating about all of this with a colleague and struggling with all the practical and emotional complexity this situation poses, we come to the conclusion that this story needs to be shared in the hopes that in the sharing, more people might develop the appreciation for all the efforts and struggle that goes into producing the beautiful coffee that this container holds. Over the past weeks, our team has been continually stunned by the quality we're tasting from these microlots. It's led to an increasingly popular refrain around here that Burundi is becoming "the new Kenya". Sincerely hope you all agree when the gems making up this shipment finally land in your roasteries. I was in Burundi in June to cup the freshly harvested coffees. Even though I’ve spent quite a bit of time in Burundi, particularly in the Kayanza province (of increasing fame via Cup of Excellence), this was my first time travelling to the country as a coffee buyer. I conducted some field research there in 2012 as a master student and now during this recent trip, began to recognize a lot of background reasons—themes I found in my master’s thesis—behind the challenges specialty buyers face there. Burundi’s economy is heavily reliant on coffee. Coffee is Burundi’s biggest export revenue earner, making up as high as 80% of earnings. There are 600 000 families, close to 40% of the population, involved in the coffee subsector. Hilly and mountainous, Burundi boasts an ideal agroecology for coffee cultivation: it has great soils, very high elevations in some coffee growing regions (up to 2000 masl) and ideal climates. On top of that, it has great infrastructure: the World Bank and other partners invested heavily during the 1970s and built 133 washing stations (wet mills) that are better equipped and organized than the ones in neighbouring Rwanda, which has been more successful so far in transitioning into specialty coffee production. Many factors have “held back” Burundi’s move into specialty coffee including a long and very slowly diminishing government presence in the coffee sector. Unlike in more successful examples of government intervention in coffee production (e.g. some of the Central American origin countries), Burundi’s government has a mismanaged and bureaucratic national coffee board (ARFIC, previously OCIBU) and for most of the last 30 years, employees hired by OCIBU were running all of the countries’ washing stations. For more background, see previous posts as well as reports such as this one from USAID. Farmers don’t currently know what happens with their cherries past the delivery to the washing station, with the result that it is difficult for them to work with buyers. 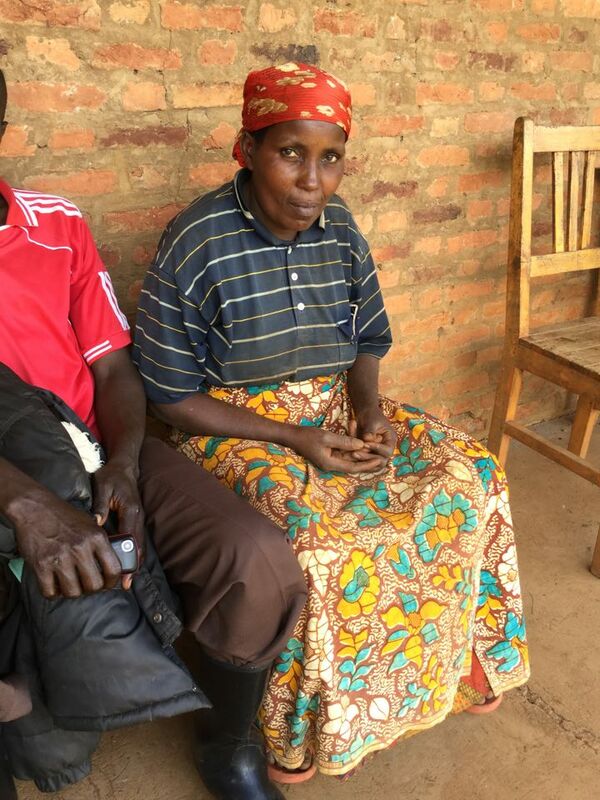 In addition to the language barrier (the main language in Burundi is Kirundi), farmers are also not “speaking the same language” practically with the buyers. Growers and buyers do not have the same level of knowledge about the entire production/supply chain with the advantage heavily in the buyer’s favour. 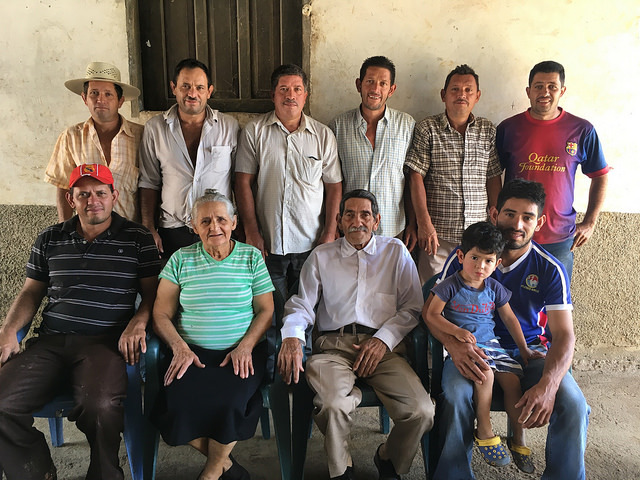 Farmers feel empowered when they are given the opportunity to meet with international coffee professionals, including buyers and fellow coffee farmers from other countries. When they are able to speak with coffee people outside of Burundi, it provides a broader picture of how coffee production “works” and leads to previously uncontemplated questions and thoughts about how Burundi’s own coffee production is structured. The mindset of the supplier is just as, or perhaps even more important than the soil and growing conditions, processing methods, varietals being grown, altitude of the farm, etc. One of the biggest distinctions between specialty coffee and commodity coffee is the crafted nature of specialty. Craftsmanship in coffee doesn’t begin at the roaster; it begins (hopefully) at the farm with the person cultivating and overseeing the work on the land and in the tending of the coffee plants. It then extends to the washing station/wet mill, beginning with cherry reception and only accepting fully mature cherries, then to pulping, drying, etc. Because of a myriad of reasons, some of which are discussed here (as above), but many that are not, a Burundian coffee supplier from a buyer's perspective, is the washing station. My use of the word craftsmanship comprises at least four things: ambition, knowledge, skill and execution. A coffee supplier that expresses all of the above makes the job of buying coffee very easy. Following that, it is much easier to pay a commensurate price for coffee coming from this kind of person. Coffee suppliers who are ambitious will invest to produce quality coffee and they will then demand to be paid accordingly. The reality is different on a Burundian farm than it is on the Central American farms we work with. Farmers are working with a lot less land and and also have to be geographically lucky enough to be close to a washing station that invests in and produces quality coffee. Sometimes, and this is not just specific to Burundi, you come across a coffee that is exceptional and when you ask the supplier how it came to be great, they don’t know how to answer because the truth is, they haven’t used a specific strategy to make that coffee great. Traditions for how to make "good coffee" have simply been followed. In these cases, other factors influence quality: a particularly good harvest due to ideal climactic conditions, agroecology, etc. This is pretty close to reality with much of Burundi’s best coffee: all the right conditions and then good (increasingly better) processing comes together to provide great coffee. At the moment, selective cherry picking doesn’t happen anywhere and on top of that, many washing stations accept un/over ripe cherries and focus their care and attention on processing. Some do a great job processing (e.g. multiple COE winner and third time CCS supplier, Masha washing station) and this is mostly why great lots can be found. Some also have very skilled cuppers on their team who choose which day lots to blend to create great lots. So rather than us as buyers choosing the best day lots as we do elsewhere, we’re choosing the best blended lots. It's clear that suppliers (i.e. washing stations) are eager to provide great coffee. It's a matter of pride, as well as getting a good price. Right now it's necessary to focus at the washing station level as a buyer. I believe that over time, once there has been a more concrete shift at the washing station-level towards crafted coffee, that the farms will also begin to care about quality. I'm optimistic that we have started to build some great partnerships with ambitious and quality-driven suppliers. But it's also clear that it will take some time before this ambition turns into concrete actions that will lead to identifiably great coffee. Here and here, for examples. Rubagabaga coffee washing station (CWS) was built in the early nineties and collects cherries from micro plantations from the surrounding hills of the washing station. Each plantation manages no more than 350 coffee plants, which grow under natural shade. In the cup, this coffee tends to have a bright acidity, a tangerine sweetness along with a subtle brownie aroma. 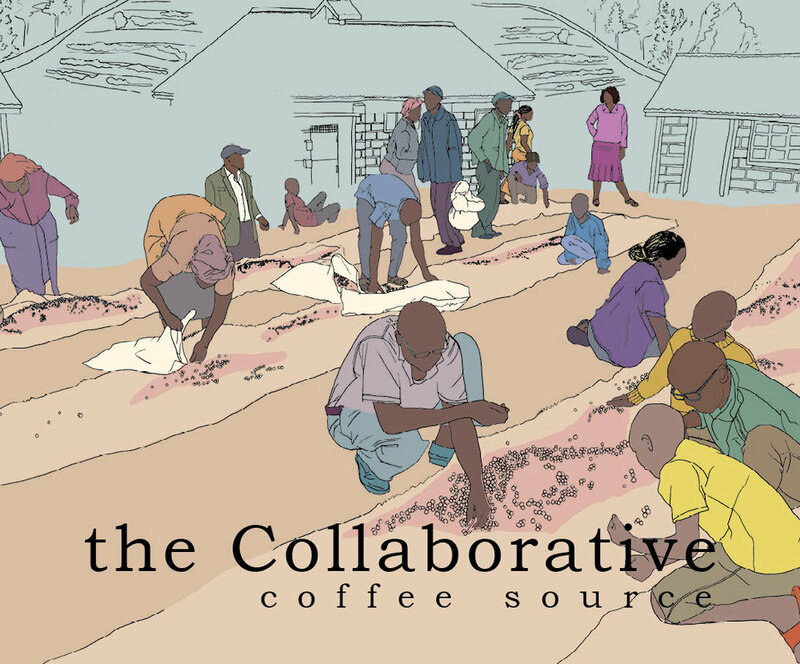 For anyone who has worked with coffee from the Great Lakes region—Burundi, Rwanda, D.R. Congo—the so-called “potato defect” has been the source of much frustration. The vast majority of cherry producers within this region are smallholders reliant on receiving premium prices. The average Burundian smallholder owns less than one hectare of land and because of many and varied social-economic-political realities, the small plots smallholders do have is not all dedicated to coffee production, which can be the farmer’s biggest cash earner. I have heard a lot of speculation about potato throughout the years and was hoping to zero in on some concrete answers, during last month’s African Fine Coffees Association conference, as to what the potato defect is, as well as how it is being fought. What is known is that potato defect is actually a chemical: isopropyl-2-methoxyl-3-pyrazine. Pyrazines are nitrogen-containing compounds that have unique aromas: earthiness, potato, mould. Bacteria (thought to be Enterobacteriaceae) make up this pyrazineandthese bacteria are thought to be carried by the Antestia bug. Yes, I realize this language is scientific and vague. It’s because research into the potato problem is young and there are no definitive answers. However, what research has been done (the best research has come from a French agricultural research centre called Cirad) supports the above descriptions of the problem. The Antestia bug is thought to infect coffee cherries with bacteria as it comes into contact or burrows into coffee cherries. Some of the biggest contributing factors to the elusiveness of the problem are that it is difficult to see infected cherries; infection is random (and doesn’t occur in great amounts); and it does not tend to be obvious infection has occurred until after the roasting process. You can all visualize how many roasted beans go into just one cup of coffee – it only takes one infected bean to ruin the entire cup, rendering it undrinkable due to its unmistakable raw potato/green peas smell and taste. As I mentioned in earlier posts about the AFCA conference, most participation came from the commercial coffee world. Although CCS works with the best and brightest producers, making stellar coffees, I feel it is important to know about the commercial side of the coffee trade because its influence on coffee production (how and what) is too significant to ignore. Especially in countries where specialty coffee has not been present for long, as is the case in African coffee producing countries. During the Potato Panel discussion at AFCA this year, speakers included a representative from Alliance for Coffee Excellence (which oversees the Cup of Excellence competitions), a commercial coffee buyer, a specialty coffee buyer and a researcher studying the potato defect. When commercial buyers choose to work with coffee from the Great Lakes region, they tend to consider and then compare a general profile and quality. For example, Rwandan and Burundian coffees have been compared to Honduran “high grown” coffees quality- and cup-wise. There exists a distinct price differential between what a Honduras “high grown” can command versus what a similar quality coffee from Rwanda and Burundi can fetch. The potential for potato is not the only contributing factor in such a price differential, but it certainly plays a role. According to one panelist’s estimates, the price differential for a Great Lakes coffee is 20-25 USC/lb. less than a comparative coffee. Taking other factors into account (e.g. logistics efficiency of working in the Great Lakes region versus regions like Honduras), the “potato discount” is estimated to be 10-15 USC/lb., adding up to an estimated $6.5 million USD loss each year for a country’s production yield. In high quality markets like CCS’, prices are not discussed in terms of discounts, but rather premiums. Buyers of specialty coffee reward quality with premiums and as Great Lakes coffees cup uniquely, specially, as well as are harvested at a good time of the year (i.e. in between other countries' harvests), premium prices are paid for coffee gems found in the Great Lakes region. But potato makes it challenging and somewhat risky to work with coffees from this region. Roasting companies spend a lot of resources working with baristas and wholesale clients on how to detect the defect. Some roasters choose to limit how such coffee is used within their menus (e.g. not blending them with other coffees). What keeps us motivated and focused on working with this region are the fantastic characteristics of uninfected (which is the vast majority of) coffee from this region. We have been working with truly special coffees from the region. These coffees, unlike in the commercial world, cannot be substituted with coffees from anywhere else. Certain strategies have been employed by farmers and washing stations to mitigate the potato problem. Just because there are not yet definitive answers about the causes of potato, this does not mean that action is not being taken. At the farmer-level, insect management to mitigate the prevalence of the Antestia bug has been undertaken. In addition, while selective picking is generally good practice, it helps combat potato because infected cherries are mouldy/bacteria-infested. If only ripe, clean, red cherries are sent to the washing station, there is less potential that infected cherries will move further up the supply chain.There is still a long ways to go in farmer education about these techniques but the best washing stations have been working with farmers on these. Most action has been taken at the washing station (wet processing) and dry mill (dry processing/hulling) levels. Starting with the transport of cherries to the washing station, there have been less potato problems in lots that have been transported more quickly from the field to the washing station. 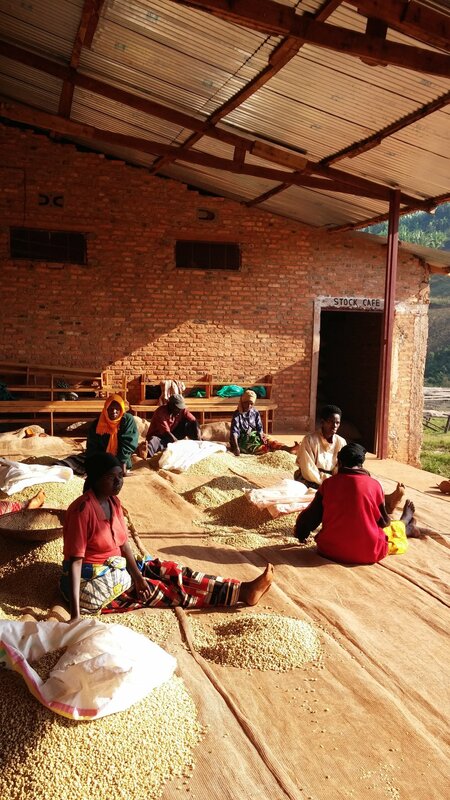 During sorting, floating has been important in that lots that have had less instances of the defect have generally had denser beans. At the dry mill, extensive lot sampling (looking at density in particular) has led to traceability of lots causing more potato problems. Other technology and strategies include mould probes (which are have also been utilized in Central America for the Roya problem), aromatic sensing devices programmed to recognize defective beans and ultraviolet light sorting. However, due to the fact that these tools are meant to isolate individual beans, they are quite time and resource inefficient. If it reads like general best agricultural and processing practices should be employed in the battle against potato, that’s obviously true. Even without the defect, these practices should be standard. But it would be a mistake to go so far as to disregard the potato problem as a real and significant issue. In fact, I would argue that the existence of this problem forces producing regions to be ever more conscious about the necessity of proper farm management and meticulous processing in coffee production. The specialty coffee community has started to become engaged in finding solutions for potato defect. In addition to a growing number of roasters supporting through purchasing, Cup of Excellence has started to organize the funding of potato defect research. Read more and support here. What this seems to mean in practice is that it’s a venue where coffee professionals—producers, buyers, exporters, public stakeholders—involved in African coffee production and sale can get together to network and discuss the issues and development of the member coffee sectors. In the posts to follow, I’ll focus on three topics/experiences—world coffee markets, potato taste in coffee and my visit upcountry in Kayanza--to give you an overview of this year’s AFCA conference and the potential implications for the coffees and partners CCS works with. CCS is sourcing coffee from the best producers growing and processing the best quality coffee in their respective origins. Our partners have shown merits through consistently placing well in competitions (e.g.Cup of Excellence) as well as through their commitment and evolving working relationships with us. The coffees we approve are scoring at a minimum of 86 points (based on a combination of score sheets like COE, SCAA and our internal scoring mechanisms) and the quality of the coffees being delivered to us are noticeably better with each progressive season. Since I am almost exclusively cupping amazing coffees, one experience from the past year that really stands out was a cupping session where I cupped coffees scoring under 80 points. This experience triggered a feeling that not only do I know very little about how most of the world’s coffee is traded, but that this gap in understanding could potentially have big impacts to what we’re able to source due to the amount of buying power and influence that commercial buyers have. I feel that it is important to understand more about the commercial coffee trade because the mere fact that most coffee is traded through these channels affects the way specialty coffee is produced and priced. For example, although most producers I met at the conference want to produce high quality coffee and work directly with companies like CCS (and in turn with roasters like you), most of them do not possess the know-how to produce and work with specialty buyers. Working with African coffees is very different than working with most Central and South American coffees – most Latin American countries have much better coffee infrastructure, have a longer history of working closely with buyers, a longer history of private investment. Thus commercial buyers have a lot of influence and long-held relations with the cooperatives and washing stations in Africa, so their way of buying coffee and quality standards is generally the rule. Conference attendance this year was broad enough that I had the opportunity to meet with people representing many different countries, from all throughout the production and supply chain, but also small enough that I didn’t feel like I missed out on meeting at least one representative from most of the participants there (e.g. those with exhibition booths). The vast majority of the people that attended are involved with “commercial coffee” – from price, pricing mechanism (i.e. speculative) and quality standpoints. As this conference is one of the most significant meeting points for African coffee professionals, specialty coffee needs to have more of a presence. 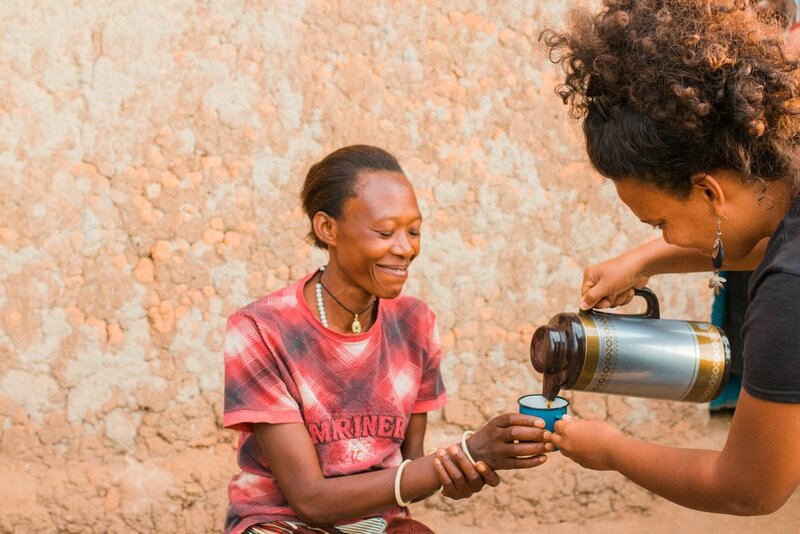 More and better engagement in Africa from the specialty coffee sector will not only benefit producers; it will help roasters expand menus, increase the quality and transparency of the coffee available, and lead to an even more exciting community. While there were a couple of fantastic specialty representatives in attendance (like Paul Songer from ACE and Wendy de Jong from Single Origin Roasters in Australia), leading some of the most interesting discussions in the program, the general vibe of the conference was commercial. The main themes of the program included women in coffee, a sustainability forum, the case of the African smallholder, the world coffee market, finance, potato taste in coffee, a (large-scale) roaster’s perspective to sustainability, and the African coffee industry. Unfortunately I didn’t arrive early enough to attend the women in coffee meeting and didn’t have enough time while I was there to attend all the lectures and discussions, but I did attend the world coffee market and potato taste discussions, amongst all the networking and meetings with current and potential future partners. It was a really great two days at the conference and then I had the privilege of being taken up-country to the Kayanza region where Long Miles Coffee gave me a tour of their current washing station and showed me the site of their new one. Hope you enjoy the following summaries. In 2012 Masha coffee washing station (CWS) placed amongst the winning lots in Burundi’s inaugural Cup of Excellence. The station has won 8 prizes at the Cup Of Excellence since that inaugural year. Excellent soil conditions, good altitudes, ripe cherry selection from delivering producers and a good water source are amongst the many reasons Masha’s manager believes the washing station is producing some of Burundi’s best coffee. In the cup, the coffee consistently exhibits a well-balanced profile with tangerine-like acidity and sweetness backed by a honey sweetness that lingers in after taste. In Part I, a brief introduction to some major contributors to Burundi’s coffee subsector was made. I focused on three main groups currently involved in the processing and distributing of coffee once the cherries have been picked: the SOGESTAL (now, increasingly privately owned coffee washing stations (CWS)), local buyers (washing stations, amongst others) and dry mills. This post will focus on how Burundi has begun moving from a coffee market selling low-quality commodities coffee into one that produces high quality specialty coffee. It is a significant shift in Burundi’s coffee paradigm and its success will require long-term planning, investment and the collective action and will of everyone involved. In this post, I wrote about USAID’s involvement in the process and how Burundi’s government has started to liberalize coffee through the privatization of CWSes and dry mills. From my readings and the conversations I had with people throughout Burundi’s coffee sector, I learned that the already long and complex liberalization process would be even slower going without the involvement of USAID. As an example: when the first tender went out for washing stations, the government wanted cherry producers (via farmers' groups/associations/cooperatives) to acquire part ownership. In such a scenario, both buyers and sellers would have control of the processing capacity – a clear conflict of interest. One of the obvious questions outlined by potential buyers was: who are these people we’re supposed to be sharing ownership with? If partners with competing interests own the same washing station, whose interests win out? Is it the farmers (sellers who want to sell high) or private companies (potentially exporters wanting to buy low)? There was no precedent for this type of model; no other set of experiences to help make sense of how this was all supposed to work. In fact, farmers’ associations/cooperatives have not been able to organize themselves in order to buy the government suggested share of the washing stations (approx. 25%) and the government still own shares in washing stations that have been purchased privately. With USAID’s involvement, companies that decided to go ahead and purchase CWSes had support and a bit of an intermediary to help smooth the transition from a government controlled industry to a semi-privatized one (the government still retains control of varying shares of each washing station). Cherry producers have been quite skeptical of companies buying up washing stations. A big part of the problem was mis-communication on the government’s part with respect to CWS ownership. Instead of communicating that producers were paying taxes to maintain CWSes, the government characterized them as payments that would eventually lead to coffee farmers groups’ ownership. Also problematic is that governments, generally, aren’t very good at running things tightly and efficiently. The case of Burundi’s SOGESTALs is no exception. These have a history of running with huge overhead costs and producers have never been given the opportunity to participate in anything other than cherry production. They had no involvement or knowledge about markets and pricing; they constantly were or felt like they were being cheated (e.g. paid for less cherries than they delivered); they had no access to advances in agricultural knowledge and technology and no access to international buyers with whom they could negotiate. Amongst many, two consequences were low quality coffee and wildly fluctuating production levels. USAID’s five-year program (Burundi Agribusiness Program), which ended in November 2012, was significant in Burundi’s move toward high quality coffee production. The program, while small in scope in its targeting of a small number of washing stations and regions, seems to have provided the necessary initial push toward better agricultural practice, a marketing strategy (almost nonexistent prior) and better use of Burundi’s already impressive coffee infrastructure (the EU built the vast majority of currently operating washing stations back in the ‘80s). You can read more about specific initiatives in this post. Private companies have also invested in better production practices. One of our partners in Burundi, Webcor, has an agronomist on staff who supervises an agronomic team to work with cherry producers on everything from fertilizer use to replacing old coffee plants with new ones (many of Burundi’s coffee bushes are between 20-60 years old; a definite hindrance to quality). Just as important as improving the agricultural and marketing aspects of coffee production is the training of professional cuppers. If local partners don’t know what international buyers of specialty coffee are looking for, how can sales take place on equal footing? 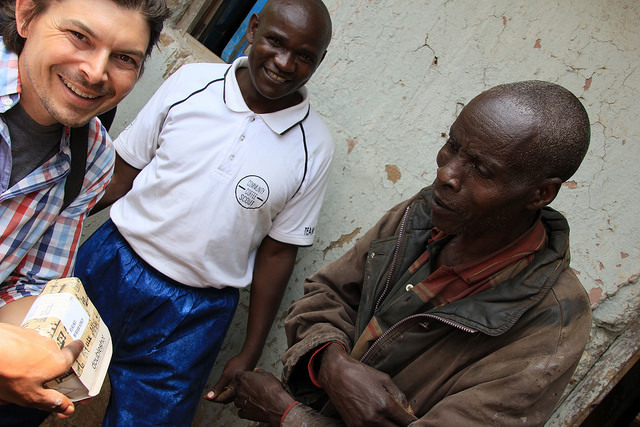 Again, USAID has invested in this area and one of its coffee specialists, Tharcisse Niyungeko, has been instrumental in both training and increasing the awareness of the importance of cupping for a coffee professional. Actually, it’s too early to evaluate how the liberalization of Burundi’s coffee sector has benefitted those involved. It’s only been about four years since efforts began in earnest and I met with just a tiny fraction of the people earning their livelihoods from coffee. It’s pretty clear that it will take another five years or more before any widespread or significant consequences of this process will become evident. However, every single one of the 30 or so people I spoke with (ranging from government officials, to foreign NGO workers, to cherry producers) expressed that the liberalizing and privatizing of Burundi coffee is a positive thing. A very positive thing. From the producers’ perspective, the most significant consequence of allowing private players into the system has been competition. This new competition has led to several subsequent consequences: more transparency of the value chain, better and more connections amongst buyers and sellers (local and international), an actual choice in who to work with, since it’s no longer ‘the government’, amongst others. Also commonly expressed was the conclusion that competition is good for quality. Producers are willing to be more selective in cherry selection and learn better agricultural practices if there’s incentive for them to do so. When the government controlled coffee production, cherry producers felt completely alienated from the selling of their own coffee – they characterized coffee growing as simply an exercise in producing something for the government to sell and benefit from. Since they had no idea how pricing was determined and coffee washing stations were 100% owned by the government, there was little choice or autonomy in how to work and with whom. Note: The posts in this series contain both fact and opinions – from coffee professionals in Burundi and my own. Data collection for my master fieldwork has just been completed and has yet to be analyzed, so these posts will be updated as more information is revealed. Nemba is two entities: a cooperative and a washing station. The cooperative is comprised of the delivering cherry producers to the washing station and Webcor owns the washing station. At the beginning and end of harvest, the washing station is open twice a week and operates everyday during the peak of the harvest period. During Burundi's first round of privatizing its washing stations in 2009, Webcor acquired 13 of the washing stations located in the Kayanza and Ngozi regions. These provinces, especially Kayanza, are well-known and highly regarded for producing some of the best coffees in the country. High elevations, rich volcanic soils and experienced and disciplined farmers are some of the things that set Kayanza apart from neighbouring coffee growing areas within Burundi. Webcor has set itself apart from the competition by developing a professional agronomic team, comprised of three engineers who oversee the three regions Webcor currently operate in. This team is responsible for overseeing agronomic best practice, education of and collaborating with cherry producers both pre-harvest and harvest, with an emphasis on ensuring producers have the necessary tools and knowledge to oversee and determine agronomic practices best suited to producers' own plantations. Due to civil war and complete state control of Burundi's coffee sector, cherry producers have had little control over the coffee production process, leading to wildly fluctuating harvest yields and poor quality control. Fortunately, Burundi is well provisioned with good agricultural and climatic conditions, as well as varieties with great potential for producing unique and quality coffees. Webcor's mandate is to increase coffee productivity and quality through financial investment, a strong professional team of agronomists and a focus on good cherry selection. This team is excited about the opportunity of closing the gap between cherry producer and buyer and facilitating producer independence through good resource management and transparent business practice. Introduction The purpose of the following posts is to provide an overview of the Collaborative’s newest origin country. Burundi has become an exciting new destination for coffee in large part due to the major reformation the coffee sector has undergone throughout the past five years. Ever since Belgian colonizers introduced coffee to Burundi’s agricultural landscape, it has been the country’s primary export crop. But for the majority of coffee’s history within Burundi, it has been treated as simply a commodity: traditionally, production levels have been of principal concern and connected with this, Burundian coffee has neither been marketed, nor sold as a product of Burundi. It was often anonymously blended along with coffee from neighbouring countries and sold at “C” market prices. Parallel to Burundi coffee’s anonymity, the country, as a whole has failed to attract much international attention. It is tiny and landlocked and although it has experienced much in the way of ethnic conflict, political instability and resulting and long-lasting economic and social repercussions due to these factors, Burundi, with its decades long history of tragedies and horrors, has been overshadowed in international media coverage by the conflicts and tragedies of neighbouring Rwanda – once a neighbouring region within the same kingdom. Since the 1950s, Burundi has experienced five civil wars; two of these categorized as “genocides” due to the systematic planning and sheer number of killings of one group over the other: In 1972, the mass killing of Hutus by Tutsis and in 1993, the mass killing of Tutsis by Hutus. What hasn’t been adequately presented in the majority of descriptions of the history of these two groups is that much of the shared past was characterized by peace. In fact, in speaking with Burundians who have lived through conflict, I was continuously met with sincerely expressed comments that there are few differences between the two groups. More than a few people described being completely ignorant of ethnic divisions until meticulously planned segregation campaigns (e.g. within educational institutions) began. The information that will be presented in the following series of posts is an accumulation of information collected over the course of seven weeks. In addition to working with my colleagues at the Collaborative, I am a student at the University of Oslo and decided to focus my thesis on Burundi’s coffee sector and how its very recent move toward privatization has impacted the livelihoods of Burundian coffee producers. While Burundi’s history is not a focus of these posts, it is important to situate the following within this historical context because it all relates to the current state of the coffee sector and the ways in which its stakeholders are working. The Coffee The best Burundian coffees exhibit intense sweetness and elegance. They are balanced and have a honey-like mouthfeel. Burundi boasts great natural resources for high quality coffee production: high altitudes, suitable cultivars, good soils, good rainfall. However, execution of high quality coffee is in its beginning stages. The coffee sector has changed structures several times in the past 60 years and after a long period of inefficient, complicated and disorganized management by the government, liberalization and privatization of the coffee sector began in earnest in 2007. To Come The following posts will be broken down into three themes: 1. Structure and organization of the coffee sector; 2. The movement toward “specialty coffee”; and 3. What stakeholders from various parts of the sector are saying. Emile comes to Paris from a coffee growers’ family. His family acquired land in 1971 in the Ngozi province – one of the most merited and recognized provinces for high quality coffee in Burundi. As a teenager, Emile studied full-time but helped out on the family farm during the holidays – picking, mulching and pruning. He eventually graduated from the University of Burundi’s High Agriculture Institute. The beginning of Emile’s career was spent working on large-scale projects aimed at reforming the country’s whole agriculture sector. From 1988-1995, Emile was involved in a World Bank funded project that was administered through the Ministry of Agriculture. The aim of this project was to collect data of all Burundi’s crops for the purpose of future planning and reformation. In 1996, Emile began to specialize in the coffee sub-sector; his first position in coffee was SOGESTAL Ngozi’s general manager. All Burundi’s coffee washing stations (CWS) are grouped into five regions and the Ngozi region oversees 28 CWSes. As general manager, Emile’s chief responsibility was to coordinate and organize all wet processing activities amongst the CWSes. In addition, he was charged with introducing, promoting and selling coffee from SOGESTAL Ngozi to international markets. The East African Fine Coffee Association (EAFCA, now simply African Fine Coffee Association, AFCA) exists to first, increase quality of coffee in participating countries and second, to promote and present coffee from participating countries to international buyers. Burundi became a member in 2000, as one of six of the earliest members of this body. From 2003-2004, Emile acted as Burundi’s country coordinator to EAFCA. From 2004 to 2007, Emile worked with a variety of associations and organizations in Burundi aiming to increase knowledge and best practice of high quality coffee production. He has worked to implement UTZ certification with SOLIDARIDAD, has consulted for the Regulatory Authority of Burundi’s Coffee Sector (ARFIC) and various other groups, in order to develop training materials on best agriculture practices in coffee. 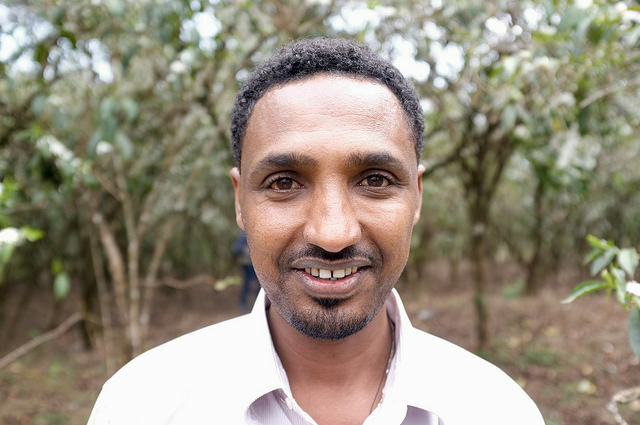 Beginning in 2007, Emile started working solely on the Burundi Agribusiness Program, as Coffee Value Chain Manager. In this capacity, Emile oversees improvement in production, productivity and quality from grower to exporter. He works with coffee actors at all levels with the overarching aim of linking quality in the field to quality in the cup. In addition, Emile works with growers, cooperatives and certification bodies to obtain certification and also helps develop new grower cooperatives. Emile will be joining us to speak in Paris. We still have a few places left, click here to purchase.